I started my Montessori school because I wanted to create an environment that was enriching, engaging, and encouraging for children. I wanted to build a school that implements the work and research of Maria Montessori because I believe in her philosophy so strongly. It is a very rewarding experience to see the students’ joy as they embrace a love for learning and truly appreciate their schooling experience. Montessori education, especially in the early years, provides a strong and significant foundation that students carry with them throughout their schooling experience. The Montessori teacher does not just educate the child on curricular objectives; she cultivates the development of the whole child. I believe in setting high expectations for students and helping them reach their full potential in an environment of trust and support. I introduced a virtues based program in our school that awakens and acknowledges the virtues within each child. 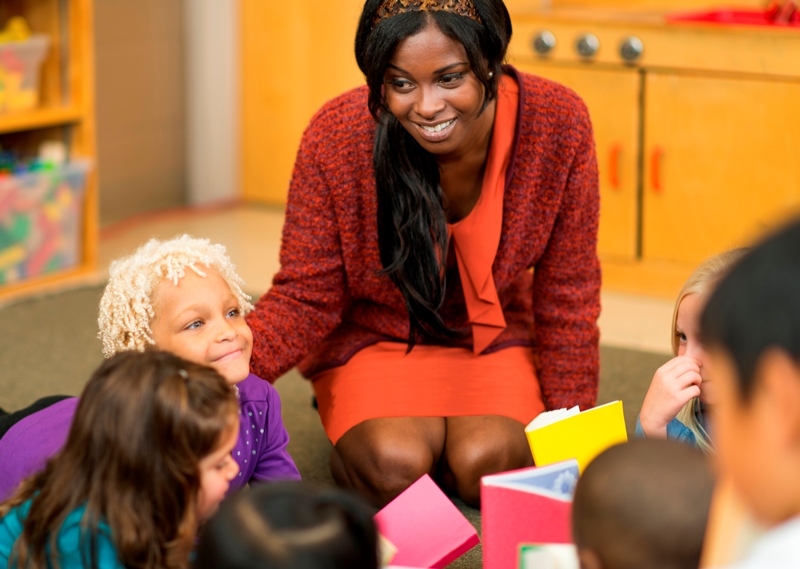 Our Montessori teachers integrate the language of the virtues into their everyday language, acknowledging when they see a student using a virtue in the classroom. For example, “Thank you Joey for using your patience with our younger friend who is just learning to use the materials for the first time.” It gives me great joy to observe students clearly showing their development of character. In Montessori schools, it is the responsibility of the school owner to ensure that the Montessori philosophy and methodology is valued and honored by the school in all manners. This requires time and effort to research and learn what Dr. Montessori learned and observed over many years. The opportunity to implement Dr. Montessori’s research and genius is a privilege and joy for me. I can see a direct connection between Dr. Montessori’s work and the success of our students and our school. In the end, watching our students learn and grow to become citizens who positively contribute to the world is the greatest happiness and success I experience as a Montessori school owner. © North American Montessori Center - originally posted in its entirety at Montessori Teacher Training on Thursday, May 12, 2016.